– Hocevar captured the General Tire Pole Award with a lap of 17.073. This marked his second career ARCA pole, last taking place at Berlin Raceway in 2018 after qualifying was rained out and based on practice speeds. – Hocevar brought the field to green in his Scott’s, KBR Chevrolet SS and led the first portion of the race. The #28 battled up front all event, before the race was shortened due to rain after 101 of 200 scheduled laps. Hocevar was scored third when the race was made official. 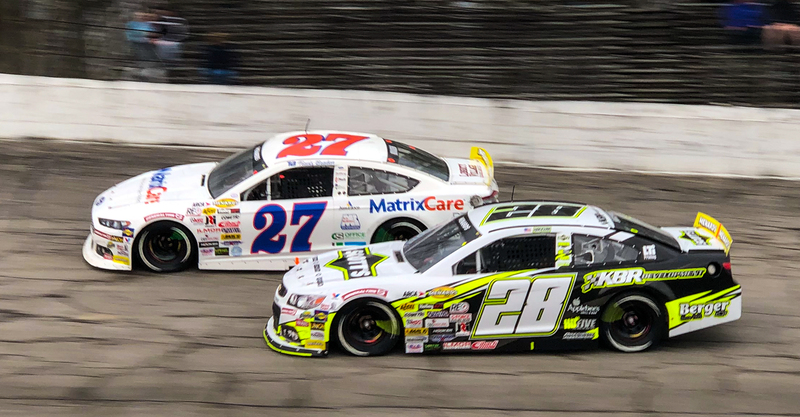 – This was Hocevar’s second ARCA Menards Series race of 2019, competing in the Sioux Chief Short Track Challenge. Carson’s next ARCA event will be at Fairgrounds Speedway Nashville, in the Music City 200 on May 4.